Designed by Gordon Guillaumier. 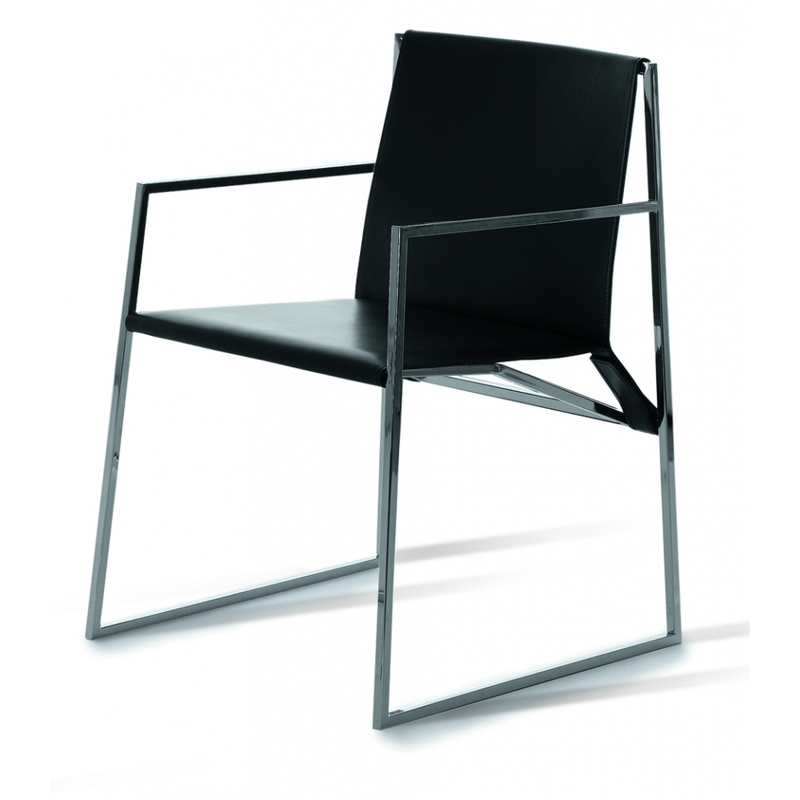 A geometrical and minimal line outlines this sober and elegant chair. The metal structure and the seat in leather make it a luxurious yet discreet piece, suitable for every surrounding.